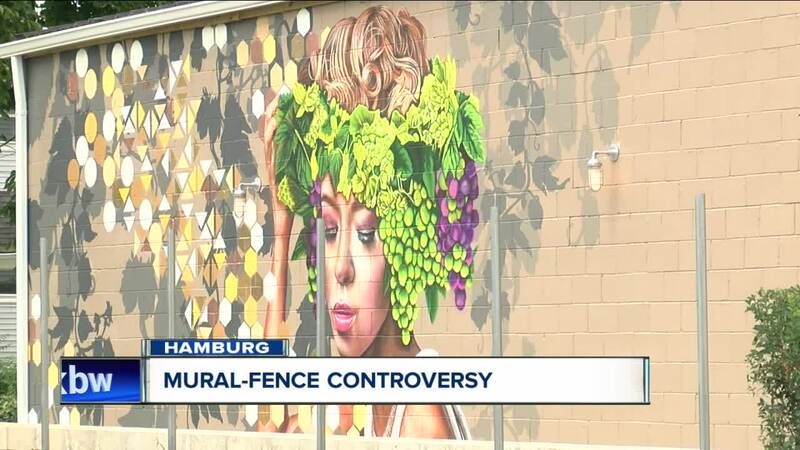 A new mural in the Village of Hamburg is causing controversy between two businesses. But the mural may not be visible for long. The owners of Alchemy say a nearby business, John and Mary's, plans to build a fence directly in front of it. The fence would cut off pedestrian access to the parking lot and restrict anyone from viewing the public art piece. Casell said when she asked why the fence was being put up, John and Mary's owner responded by saying that it was their property and not her business. She supposed it was for protection of their property; liability reasons. The owners of Alchemy say they're trying to make Hamburg more progressive and are being held back in doing so. 7 Eyewitness News has reached out to John and Mary's for comment and is awaiting a response. Full disclosure: A co-owner of Alchemy is a part-time employee of 7ABC.